Designed for the engraving workshop, for customers who have high demands. 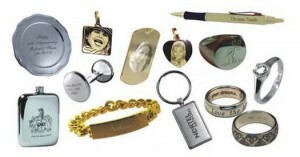 industrial workshop, where fast and efficient engraving of single or multiple items are needed. It is capable of engraving anything from the finest bracelet to a full size door sign or tankard as well as glass items and trays. Equipped with the state-of-the-art and easy to use U-MARQ CX engraving software, the GEM-CX will connect to a standard PC or laptop. Its unique 4 axes control system, that enables both flat and cylindrical items in the same setup. The U-MARQ CX engraving software package has the new and unique Depth Profiling Also included is the scanning and automatic vectorisation of logos. The GEM-CX5 ease of use enables everyone to engrave to a high standard, after just a short time. The self centering vice is perfect when dealing with one offs or production runs. Combining both flat and cylindrical engraving in one machine of this size is most unusual. The wide range of push fit jigs quickly clamp items, including pendants, clocks, salvers, scrolls, shields, pens, watches, trophy plates, christening gifts, key fobs, lighters, hip flasks, business cars holders, decanter labels, photo frames, laminate signs, badges, brass plates and many other items. Using a unique range of pressure settings, even fine gold lockets can be engraved without risk of damage. The GEM-CX5 is a true four axis machine, giving the user absolute control over the cylindrical axis. The cylindrical axis can be used to engrave trophies, tankards and glass. Using the unique U-MARQ Depth Profile function conical and curved surfaces are easily coped with. 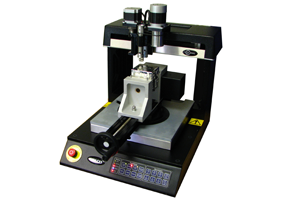 For ultimate versatility the vice beam swings 180° to enable you to engrave larger text areas required on some items. For the jewellery workshop the addition of the inside and outside ring attachment, makes the GEM-CX the complete engraving solution. In fact the GEM-CX is the ideal engraving machine for any engraving or industrial marking workshop, at a very affordable price.